The Western Association of Chamber Executives is right now holding its annual conference in Disneyland. 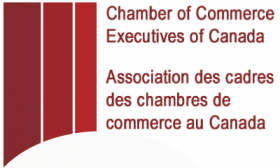 This event brings together Chamber execs from 18 states and provinces. Some CCEC members are lucky enough to be attending and they have agreed to be our scouts and come back with the best ideas they could find at the conference. From early reports, expect to hear tips on secret tech weapons for Chamber professionals, how to identify and sell to Chamber investors vs members and more!